A trip to an African safari usually results in a collection of wild encounters and unique souvenirs, but for Cynthia Chua – founder of Tiong Bahru Bakery – her recent trip to the Selinda Camp and Gomoti Plains Camp in Botswana actually inspired the idea for the bakery’s fifth outlet – a Safari-themed campsite nestled in the lush surrounds of Dempsey. 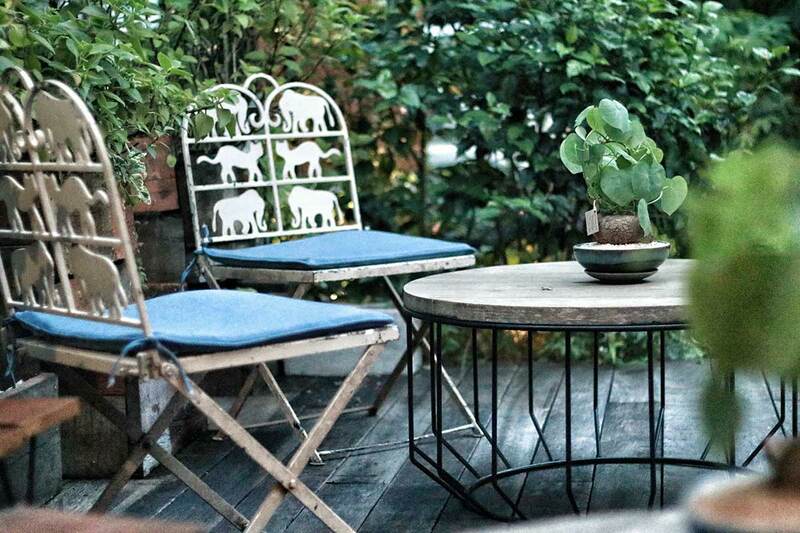 Taking up residence of the previously underutilised space in front of farm-to-table restaurant Open Farm Community, this new branch is all about celebrating the outdoors. 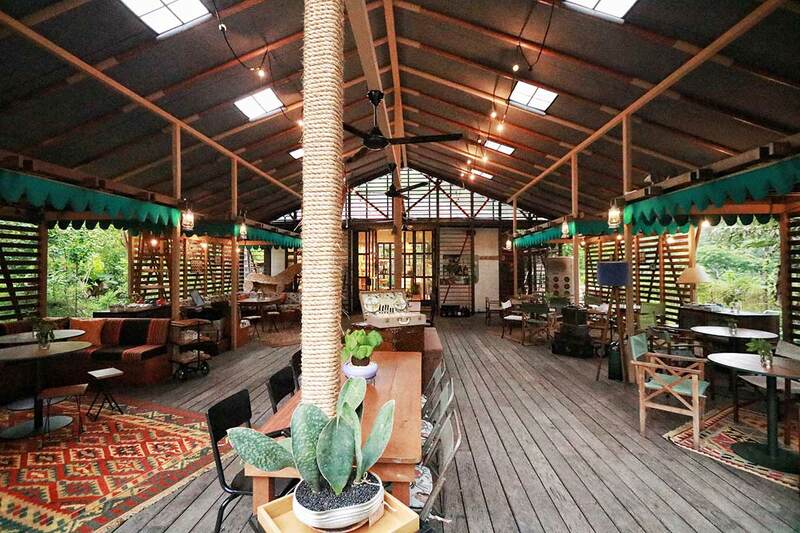 Housed within a tent-like wooden gazebo, the interior of the cosy 46-seater space is tastefully decked out in vibrant furniture and decor that replicate the glamping experience. Set against a neutral-toned backdrop, there are flat-woven polychromatic Kilim carpets, framed butterfly taxidermy on wooden deck screens and hand-foraged wild plant and flower table arrangements placed upon custom-made chengai wooden tables that liven up the space. Inside the space, the retail corner is separated from the alfresco area by a pair of sliding doors, where baristas are hard at work crafting artisanal cups of coffee and a sumptuous variety of viennoiserie, breads and pastries are on display. In addition to its buttery croissants (from $3.20) – both savoury and sweet – and Kouign Amanns (from $3.80), there are some new items exclusive to this outlet only. 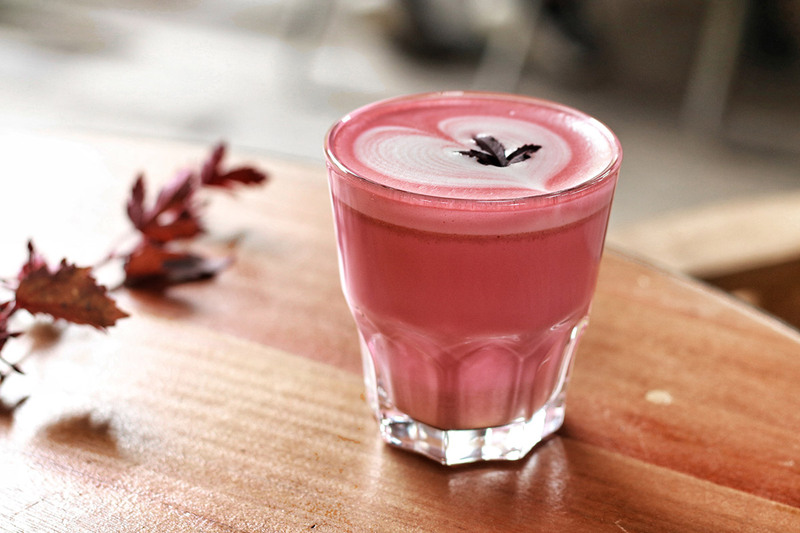 Crafted from ingredients sourced from the adjacent 3,000 square-foot garden, these include the golden yellow Turmeric & Ginger Latte ($6.50) and pastel pink Beetroot & Ginger Latte ($6.50) that are smooth, warm options perfect for a rainy day. Meanwhile, crafted for the health-conscious are antioxidant and anti-inflammatory rainbow power breakfast jars that are jam packed with superfoods. 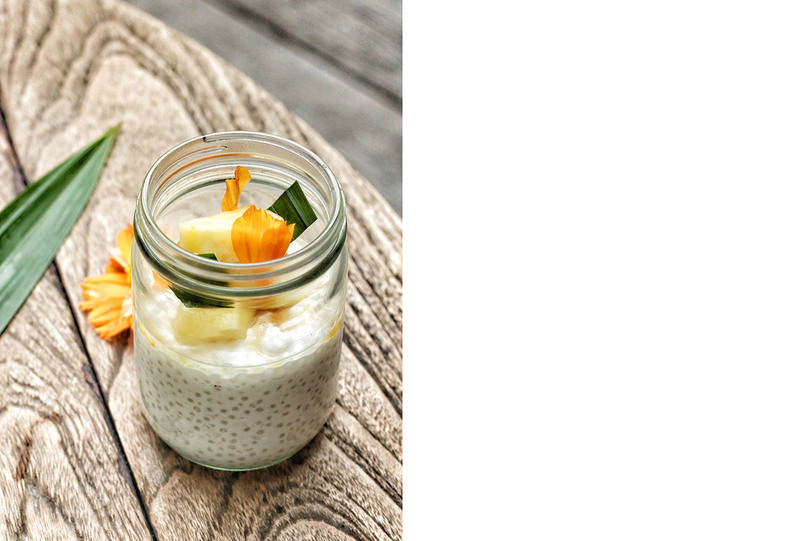 Think papaya infused with turmeric on a bed of tapioca pearls and coconut milk ($8.50) and pandan-infused pineapple on rolled oats in black sesame-infused milk ($8.80) that’s nutty and refreshing. Throughout the years, Tiong Bahru Bakery has always prided itself on its dedication to celebrating neighbourhoods. 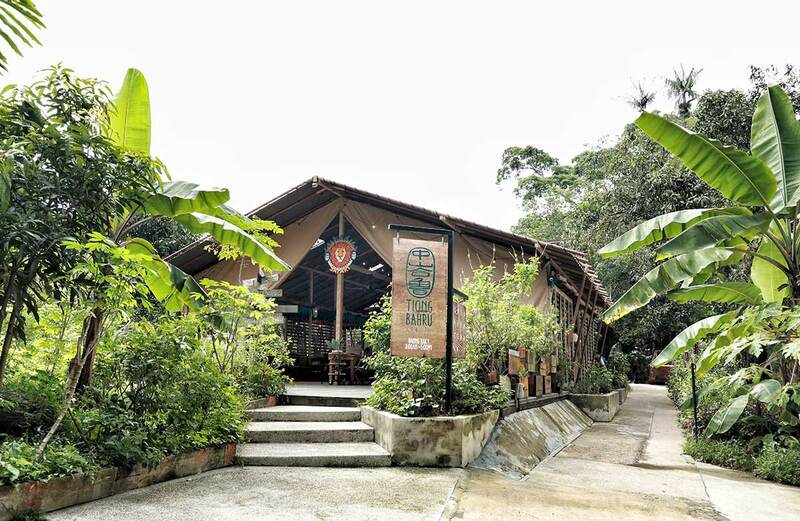 And by bringing people, baked goods and culture together under one unique indoor-outdoor garden setting, the local chain is encouraging its consumers to take the time to pause and reconnect with self, friends and family, all the while embracing the natural green environment of our surroundings.